A BJP panel on Friday met top leaders of the Congress and the Left and consulted party veteran LK Advani on the upcoming presidential election, but its reluctance to name candidates prompted the opposition to question the exercise aimed at evolving a broad consensus on the issue. A BJP panel on Friday met top leaders of the Congress and the Left and consulted party veteran L K Advani on the upcoming presidential election, but its reluctance to name candidates prompted the opposition to question the exercise aimed at evolving a broad consensus on the issue. 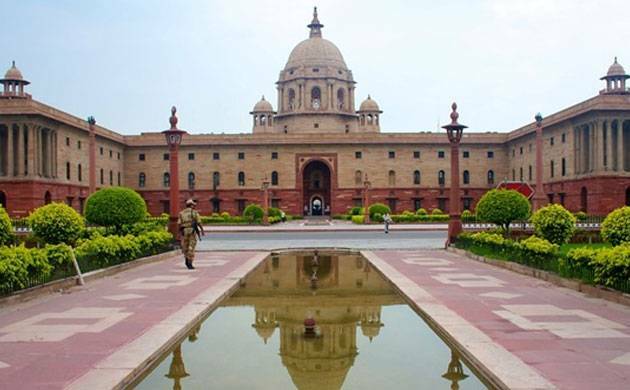 Union ministers Rajnath Singh and M Venkaiah Naidu, two members of the panel formed by BJP chief Amit Shah, met Congress chief Sonia Gandhi, CPI(M) general secretary Sitaram Yechury and BJP veterans Advani and Murli Manohar Joshi. A source said the two ministers informed Advani the panel had started talks with other leaders as directed by Prime Minister Narendra Modi and Shah, but did not refer to any likely candidates. Criticising the BJP for not naming possible candidates, Yechury called the talks “more of a PR exercise” and reiterated the person occupying the president’s post had to be an individual with “impeccable” secular credentials. The BJP leaders did not propose a name but instead asked Congress leaders about their choices, party leader Ghulam Nabi Azad said after the ministers met Gandhi and other party leaders. “We expected the BJP leaders to come up with some name, one or more, for the post of the president of India, so that the Congress could take a call on that. But nothing of that kind happened,” he said. Sources said Singh and Naidu—the panel’s third member, Arun Jaitley, is abroad—told the opposition leaders that the party would like to finalise the name of the candidate for the post before Modi left on a foreign tour on June 24. The BJP may finalise its nominee two or three days before the PM’s departure. A BJP leader played down the opposition criticism, saying the idea behind the consultation was to seek the views of leaders from different political parties. It also aimed at garnering support for a common candidate, he said. The ministers also asked Yechury and other Left leaders at the meeting if they needed to put up an opposition candidate “just for the sake of it”, the sources said. The BJP ministers first met Gandhi at her 10 Janpath residence in the morning. Azad and Mallikarjun Kharge were also present during the 30-minute meeting. This was the first meeting between the government and the opposition under the BJP’s outreach to stitch a consensus on the official nominee for the post. The ministers also declined to name a possible candidate at their meeting with Yechury and other Left leaders. “They told us they want our support. We said fine, tell us the basis for the support, who is the candidate. But that they did not convey; they will take some time to do that,” Yechury said after their 30-minute meeting. He said the opposition parties would wait till the BJP completed its discussions with them before they took a call on their candidate for the July 17 election. Naidu explained the objectives of the consultation process to the opposition leaders, saying that the prime minister and the BJP chief wished for such discussions before the candidate was finalised and were keen to seek the views of the parties and their support. Naidu also had a conversation on this with NCP Chief Sharad Pawar over the phone and met AIADMK leader Thambidurai. The minister met SP veteran Mulayam Singh Yadav and the BSP’s Satish Misra, who put him through to his leader, Mayawati, on the phone. A top BJP leader said the party was ready with the formalities of filing nomination papers. It had identified the names of proposers and seconders in different sets of nominations to be filed in favour of their candidate. The BJP has also called a meeting of those MPs and MLAs who would propose and second the official candidate in Delhi on June 20. Asked if it meant the party would decide on its nominee by then, a senior leader said the two issues were not linked. BJP allies—Ramvilas Paswan’s LJP, Upendra Kushwaha’s RLSP and Chandrababu Naidu’s TDP—have already authorised Modi to take a decision on the presidential candidate, saying they would support it. Opposition leaders have said they will put up their own candidate if the BJP opted for a person with “strong Hindutva leanings”. Congress senior spokesperson Ajay Maken told reporters that it would be “good” if there was a consensus on the issue. He, however, said the ruling party should first come out with its candidate to help bring about a consensus.